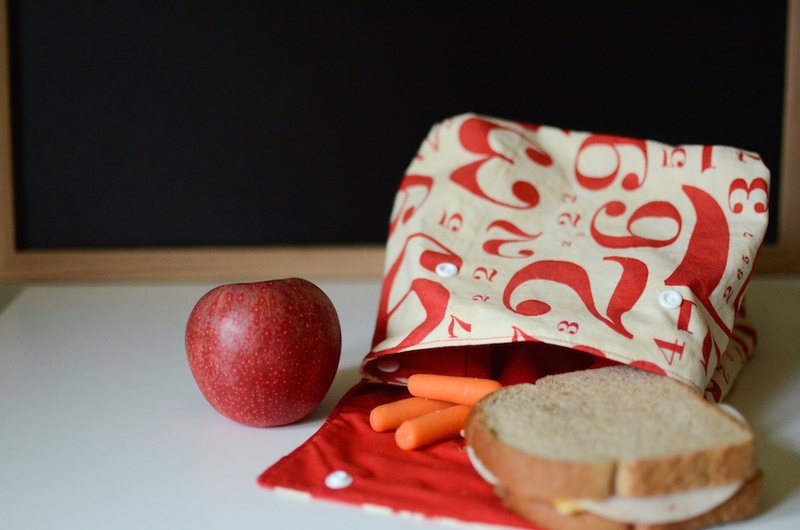 If your kids are headed back to school soon, you probably need to pack at least a few lunches this year. 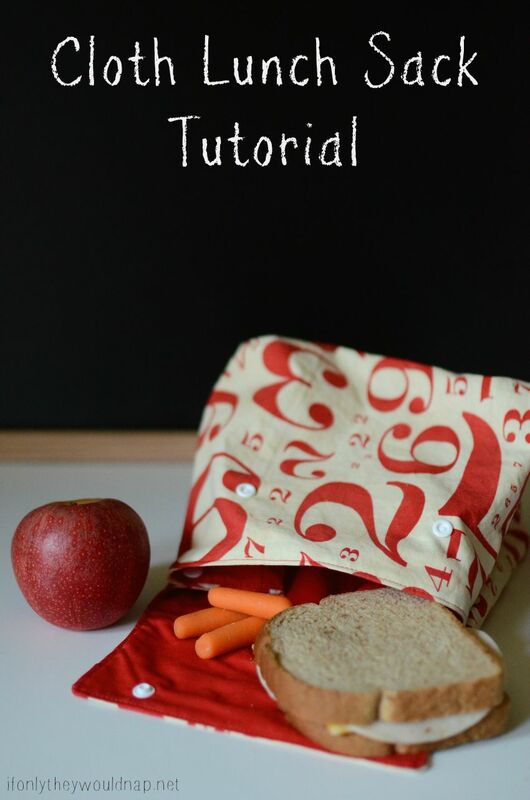 Rather than use paper lunch bags (especially on those days when your kiddo left the insulated lunch bag at school the day before), make your own cloth lunch sack that won’t get confused with anyone else’s! 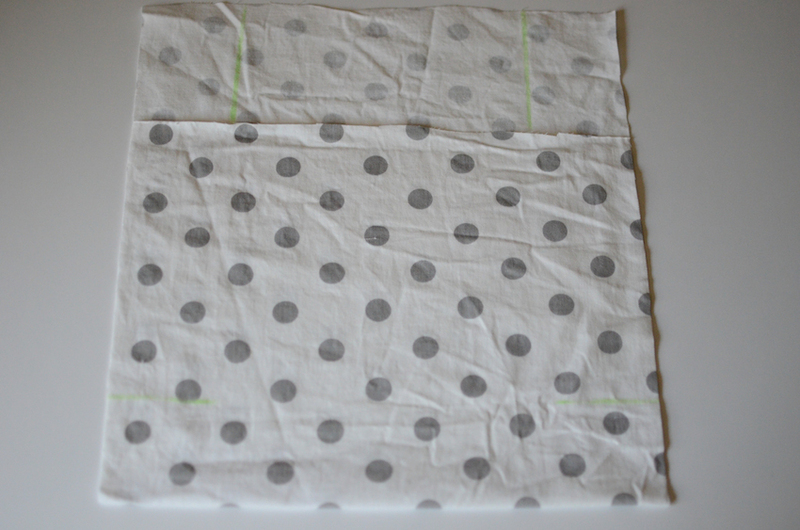 You can make this lunch bag lined or unlined. 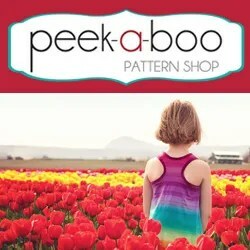 If you have a sturdy home dec fabric, laminated cotton, etc. 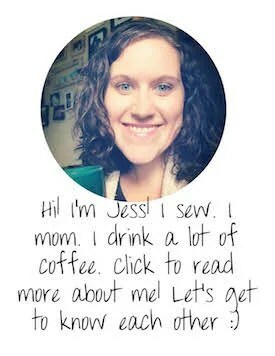 you can make this without lining. 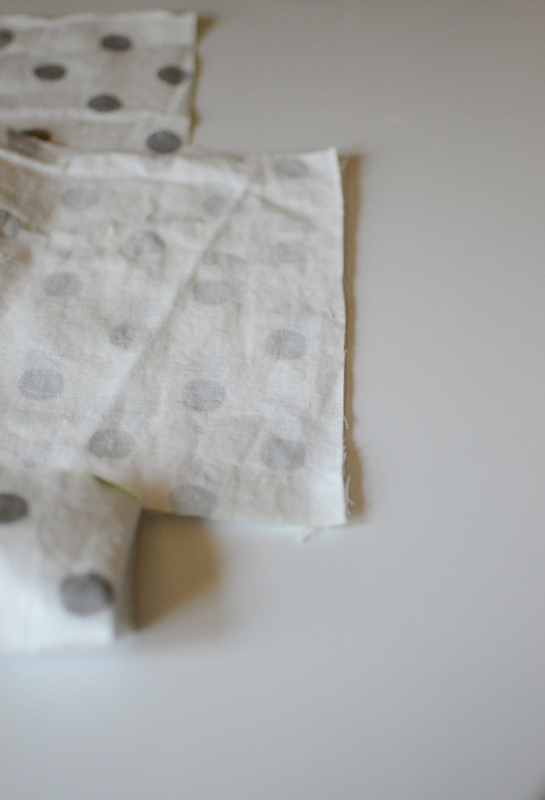 If you want to use quilter’s cotton, you will want to make it lined and interfaced. 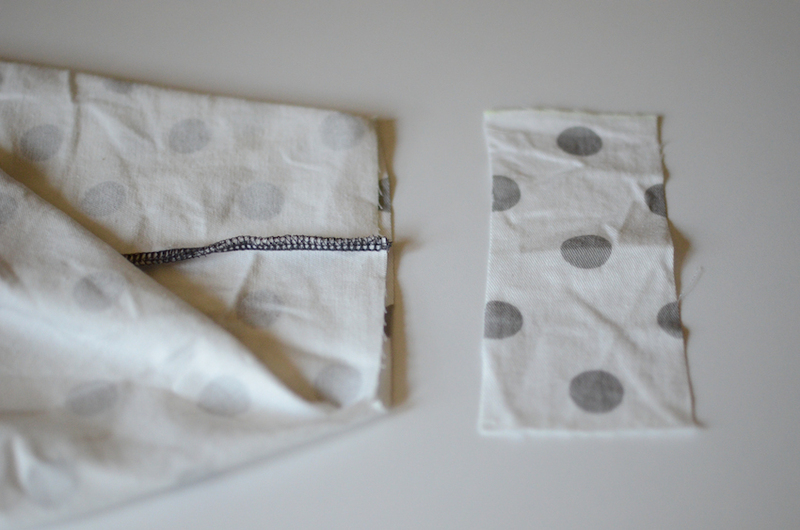 Note: if you are not lining the lunch sack, make sure that you finish all edges with either a serger or a zig-zag/faux overlock stitch. 1. 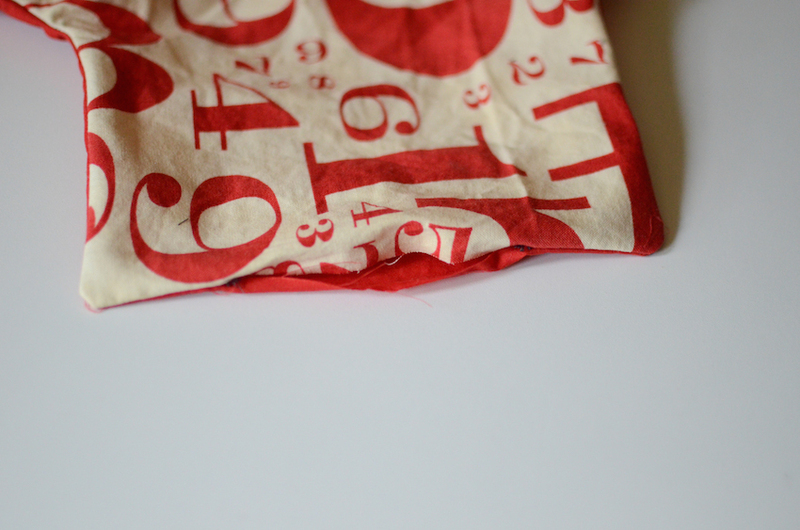 Fold fabric nearly in half, stopping 4.5in. from the top. 2. 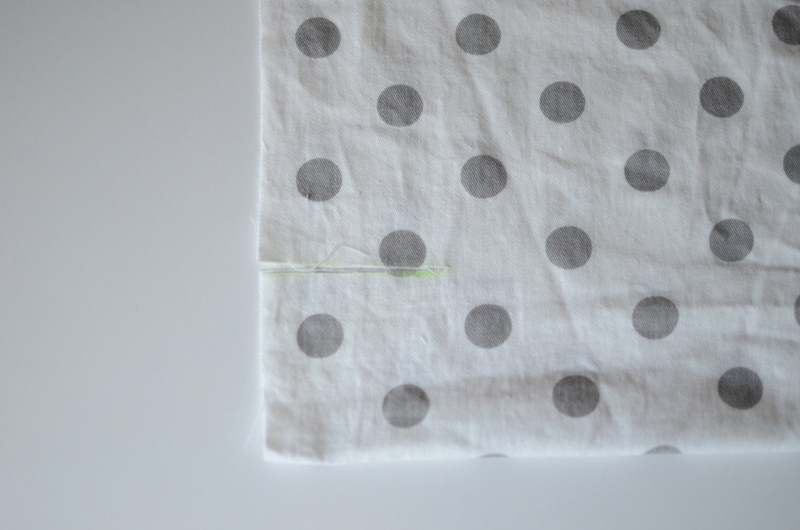 Mark four lines on the fabric: 3 inches from the bottom, make a 2.5 inch line (this green line is faint in the picture); mark two lines 2.5 inches in from the sides, 4.5 inches long. 3. Cut down the top two lines and then across to the sides, removing two small rectangles. 4. 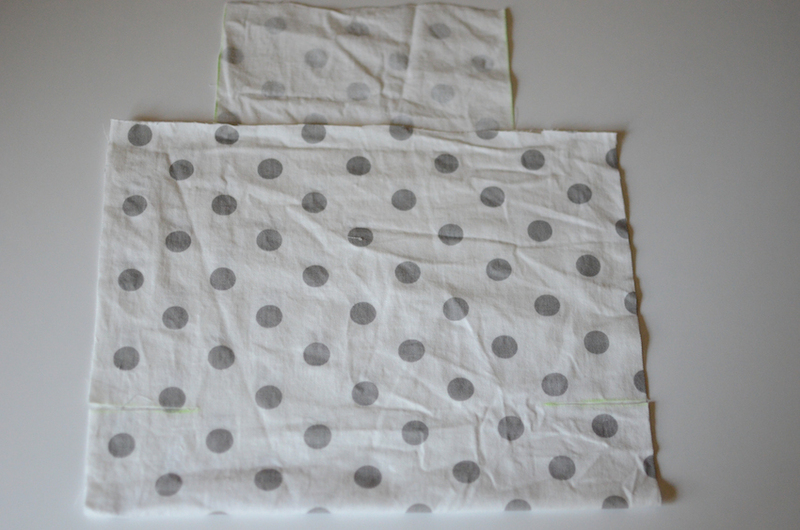 Cut along the 2.5inch line near the bottom of the fabric – cut through both layers. 5. Pull the bottom section of fabric away. 6. 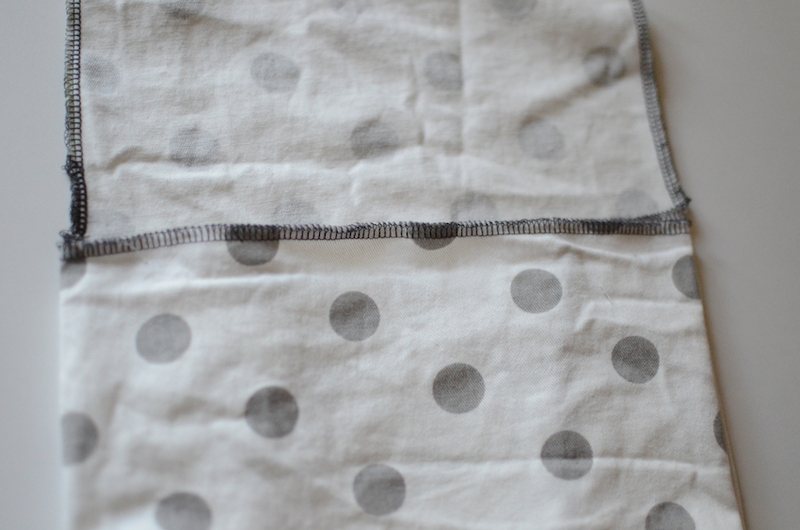 Sew along the sides. 7. 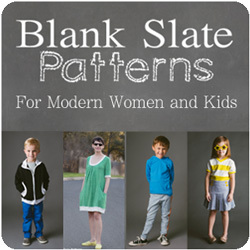 Flatten the bottom. It may not lay completely flat just yet. 9. 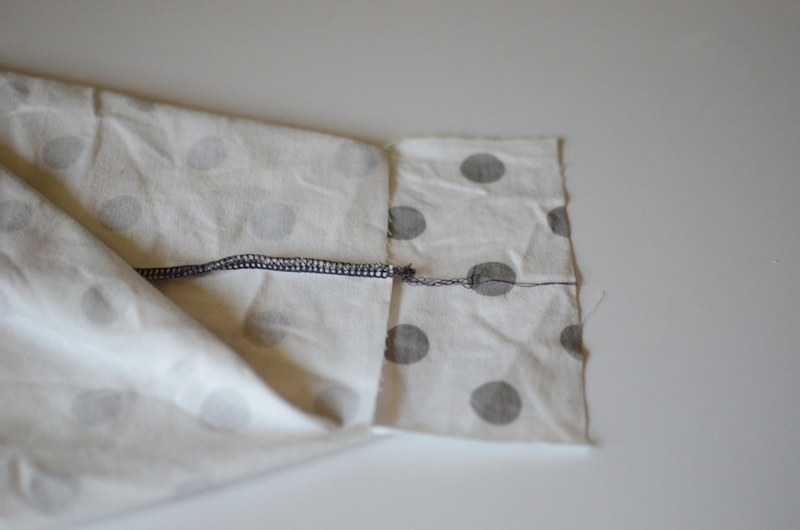 Sew along this edge to form the bottom of the lunch sack. Repeat on the other side. 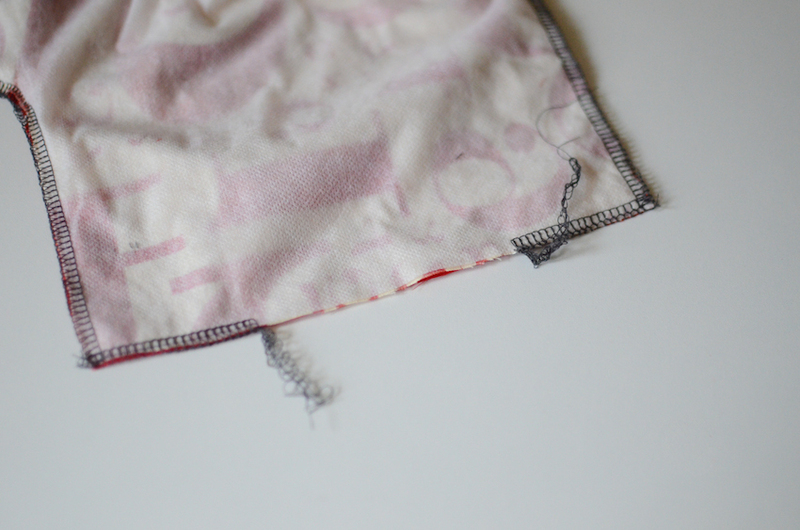 If you are using a serger, leave the tails long and tie them off – don’t just cut them off! 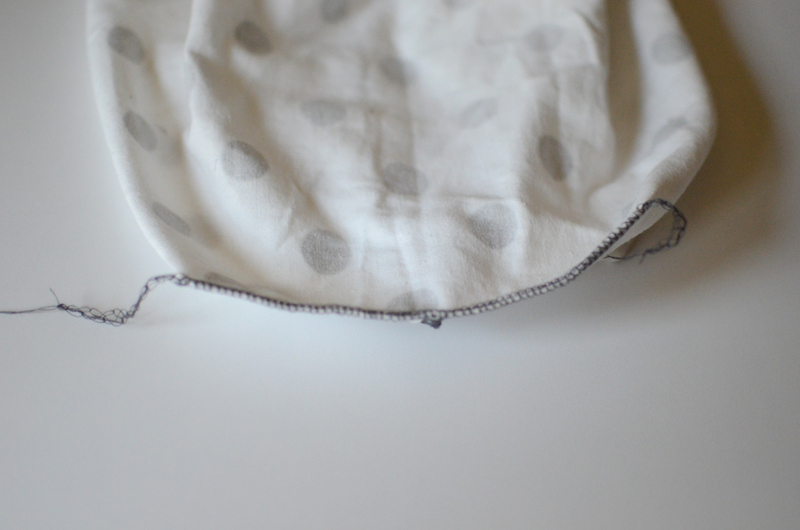 If you are using a sewing machine, make sure you backstitch at the beginning and the end. 10. 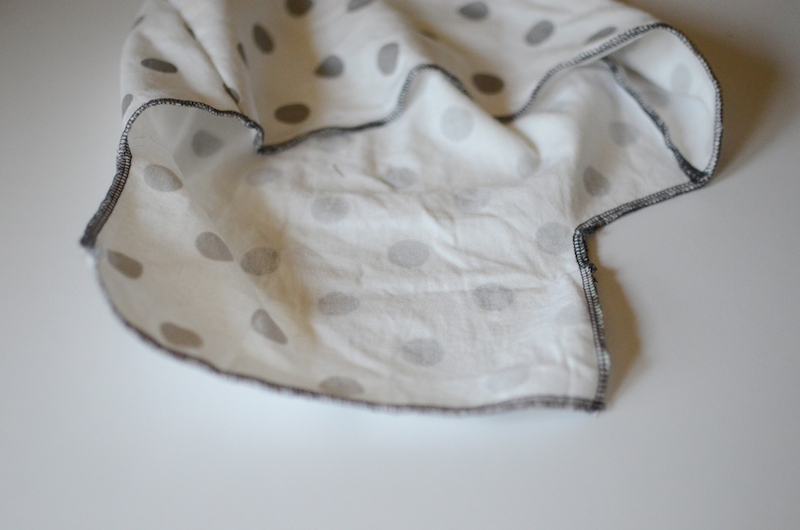 If you are using one layer of fabric, finish all around the top edge. 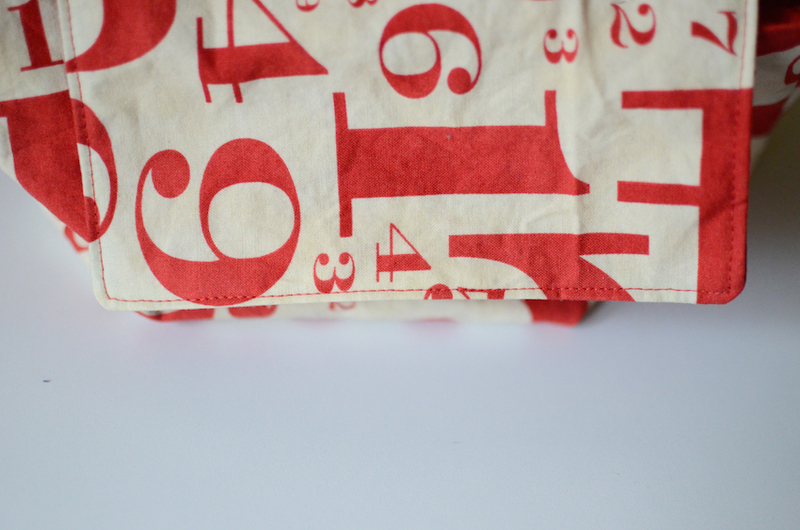 You can serge, zig-zag, or do a rolled hem on either your sewing machine or serger. If you are lining your lunch sack, skip this step. 11. 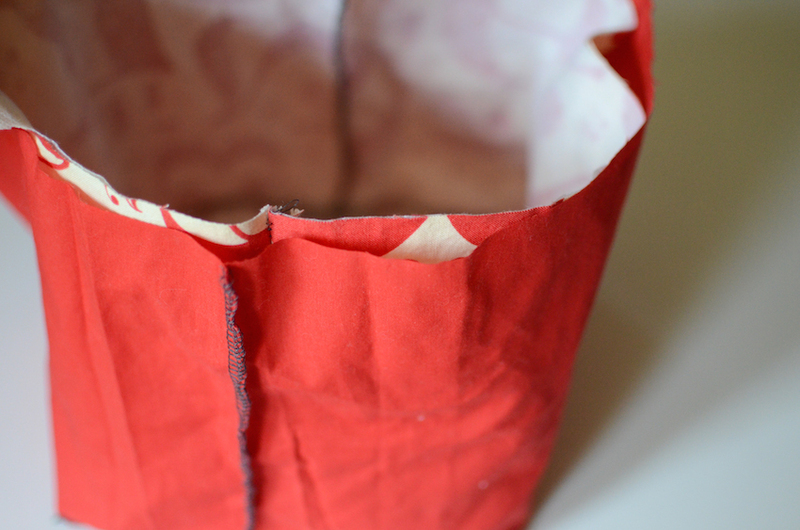 If you are lining your lunch sack, apply interfacing to one of the pieces of fabric. 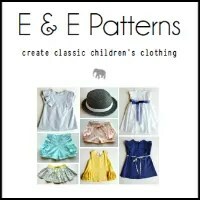 Repeat steps 1-9 with your second fabric. 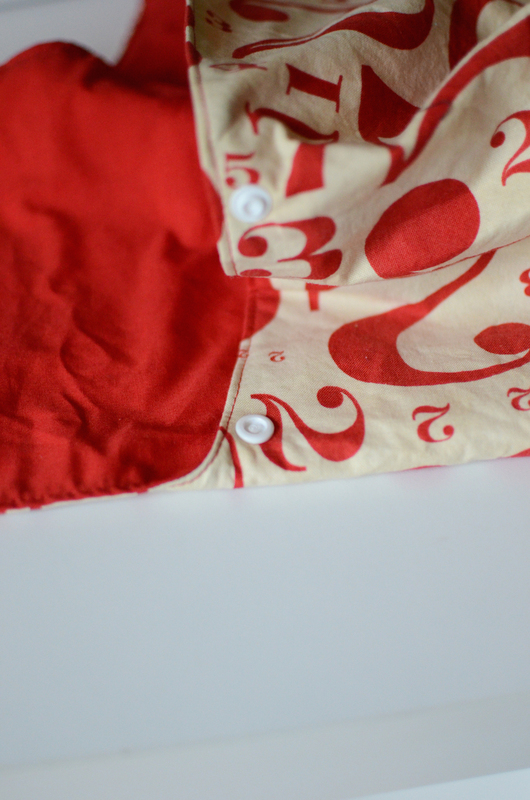 Turn your lining inside out and the outer piece right side out. Put them together as seen in the photo. 12. 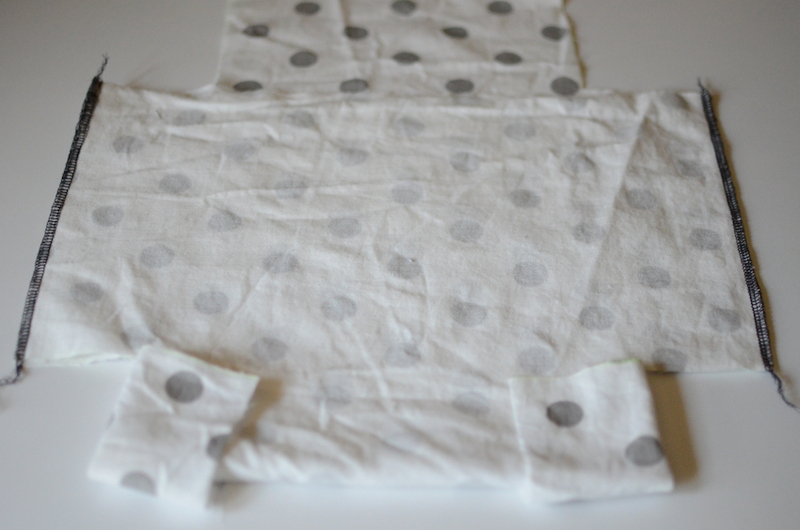 Sew the raw edges together, leaving an opening on the front flap. 13. Turn the lunch sack right side out through the opening. 14. Press and topstitch all around the top. 15. 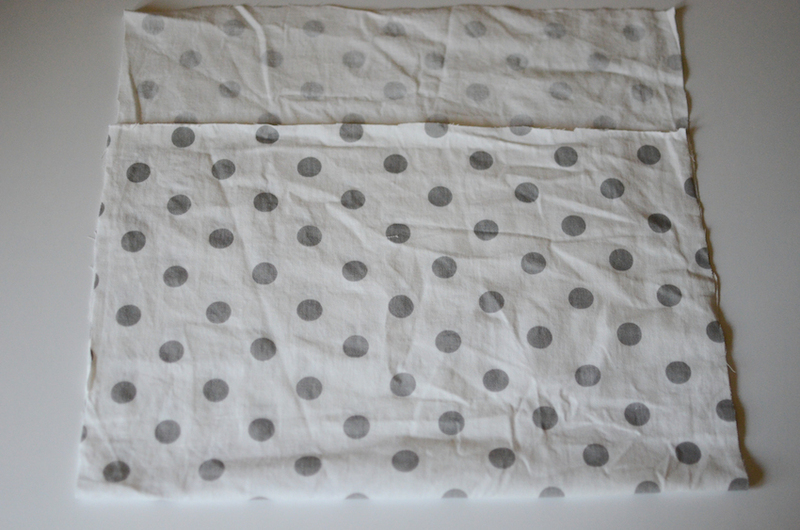 Fold in the center of the sides. Then attach either velcro or snaps inside the sides. You can stop buying paper lunch sacks (win for the environment!) and personalize your kiddo’s lunch bag to fit their style – use fabric with their favorite character or embroider their name onto it. 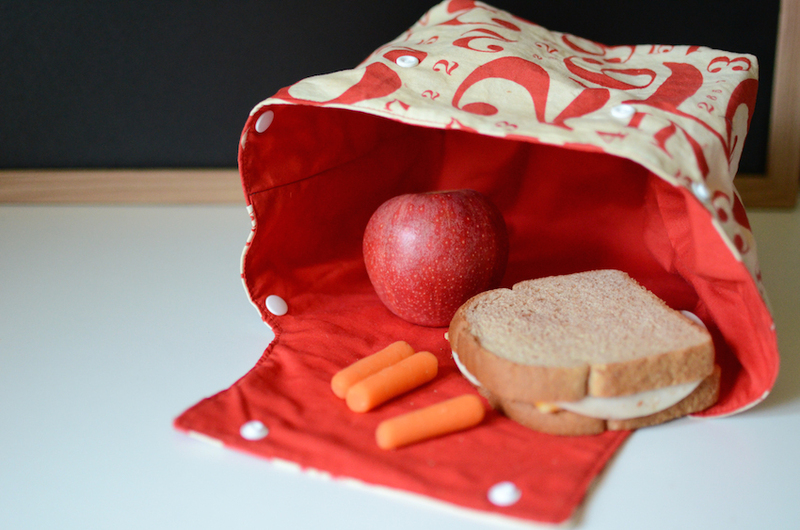 The lunch sack opens up nice and wide when unsnapped, giving you plenty of room for all the yummy foods that will fuel your little one through their school day. 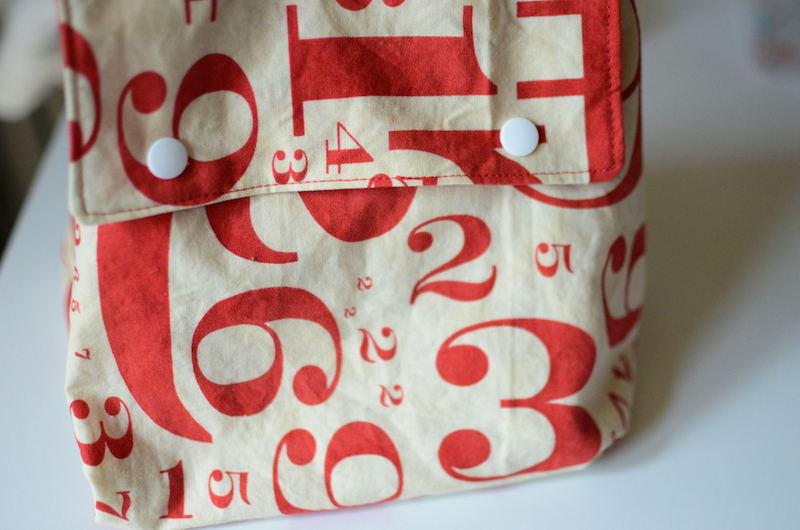 Now the DIY lunch bags we have here are not only fitting for those who are about to go back to school. 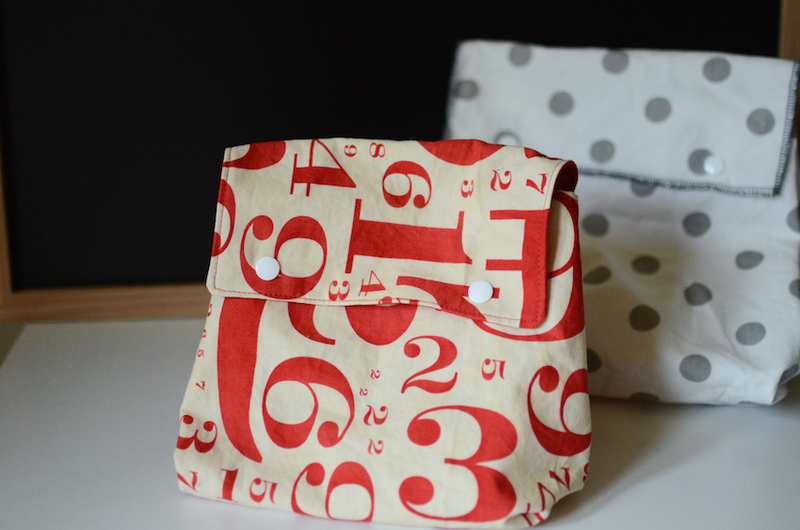 We also have lunch bag DIY ideas here that are perfect for working adults.